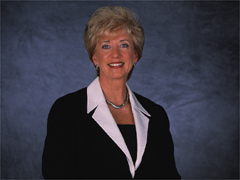 Linda McMahon is the Chief Executive Officer of the World Wrestling Federation - but her biggest contribution to the company isnt her business sense, but instead her heart. Time and time again, Linda has proven that she is the heart and soul of the McMahon family. She always tries to make the right decisions for the ones she loves, always prioritizing family first, even if it means punishing them when they do something she doesnt like. Linda went through some tough times during the holiday season last year when her husband, Vince McMahon, asked for a divorce and sent her to a nervous breakdown. But Linda battled back - thanks in large part to her son, Shane - and gained a measure of revenge against Vince, helping Shane to defeat him at WrestleMania. Linda has also turned the tables - now she wants the divorce!